GivingTuesday 2018 is coming up! We’ve celebrated GivingTuesday for the past four years, and each year our incredible supporters have helped us reach some BIG goals. Last year alone, we raised over $55,000 for our eyeglasses program. With that money we were able to provide over 8,000 children, women and men with prescription eyeglasses! This year, we have a very special goal in mind. We want to ensure that the people we help in Africa and South Asia will always have access to quality eye care when they need it and where they need it, no matter who they are. That’s why we’re asking people like you to become part of a special group of supporters: our Monthly Visionaries. 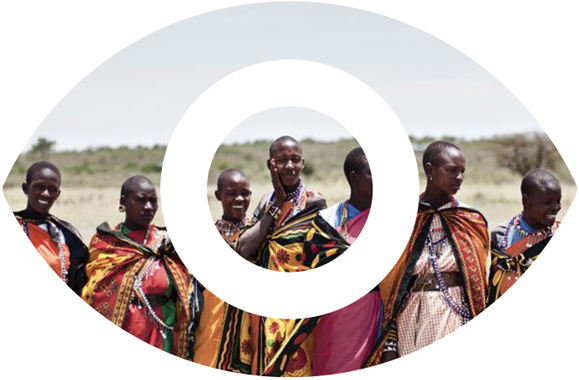 A Monthly Visionary is someone who has decided to give a donation each month, to ensure those suffering needlessly with avoidable blindness will have year-round access to the care they need. This GivingTuesday, our goal is to raise $5,000 from Monthly Visionaries. If 500 people sign up to give $10 each month, we’ll reach our goal! And thanks to a generous matching donor, all first monthly gifts and one-time gifts made on or before November 27th will be matched up to $5,000. Together, we could raise $10,000 on GivingTuesday to help thousands of people see! Already a monthly donor? Please share our GivingTuesday page with your friends and family, and ask them to join you in the fight to eliminate avoidable blindness. Surajkali is 65 and lives in a small village in India. Two years ago, her eyesight began to fail. Eventually, she couldn’t see at all. Her grandson, Suraj, had to guide her around her home, to the store and even to the toilet. Poor Surajkali! 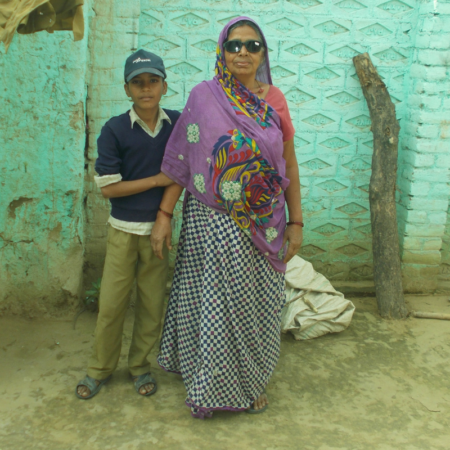 She could no longer do her chores, and poor Suraj had to drop out of school to care for his grandmother. Surajkali needed him so constantly that he couldn’t play with his friends. Imagine how sad they both must have felt. But their story doesn’t end there… Read more here. Thank you for your support! Together we can bring hope to people like Surajkali and Suraj, month after month – For All The World To See!